Walking or biking, whatever your preference, there are lots of different paths around Oberon to explore, of which some are dog friendly. You can stay local or you can venture further afield to the area’s many national parks and state forests. This walk or ride is located to the north of Lake Oberon. Access can be gained from Links Close onto unsealed tracks. 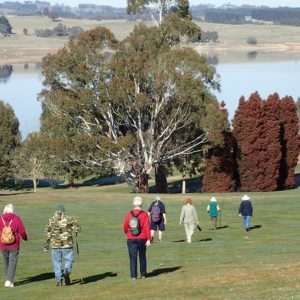 This picturesque walk winds through mostly native Eucalypt trees and will give walkers an idea of the way Oberon was in the past. Tracks run from the water reservoir to the dam wall, following walkways alongside the banks of Lake Oberon and onto the edge of the Golf Course. Finally the walk leads back up to the top of Links Close. 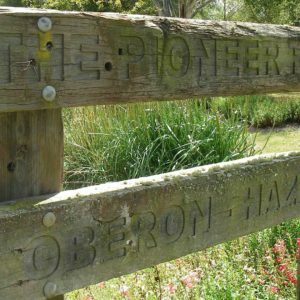 The Oberon Rotary Club in recent years has kindly opened this bush walk. It follows a small section of the Kings Stockyard Creek along unsealed walking tracks and joins onto the Blenheim State forest roads. The area of land just off Shakespeare Close (where entry is gained via a gate onto the tracks) is a serene walk along a small willow lined creek, over a quaint walking bridge and through Eucalypt trees and mostly native bush, to meet with the Blenheim State forest, which is predominantly a Radiata Pine forest, leading back towards Hazelgrove. The birdlife in the native forest is seasonally spectacular, with Black Cockatoos noticeable in Summer and early Autumn. White Sulphur-Crested Cockatoos and Mountain Lowry often frequent the areas early mornings and just before sunset. Often in Winter, Gang-Gangs and Rosellas can be seen feeding off shrubs and berry bushes among the creeks and road in the area. This reserve is a comfortable walk or ride south-west from Oberon, along the Abercrombie Road for less than one kilometre, to The Reef turnoff. After an easy walk down to the end of the bitumen, follow an unsealed road leading off to the right for one hundred metres to a cattle grid. There is an Oberon Council sign reminding visitors of some regulations to be aware of in the Reef area. The walk meanders towards Lake Oberon through interesting granite rocks and boulders, past splendid Salmon Gum, Mountain Mallee and various other native species of trees, leading to a gated pathway to the lake’s edge. Please do not enter grazing land surrounding the reserve, as there is usually stock in these paddocks. This 6 km sealed path, which is open to both walkers and cyclists, runs beside the partially restored Oberon Tarana Heritage Railway to Hazelgrove. It is relatively flat and shady in parts. When cycling, turn up the unsealed Black Bullock Rd, which takes the rider to Hazelgrove Rd and the return route to Oberon. The railway, which was opened in 1923, originally ran all the way to Tarana, a distance of nearly 26 km. The line was closed in 1979. 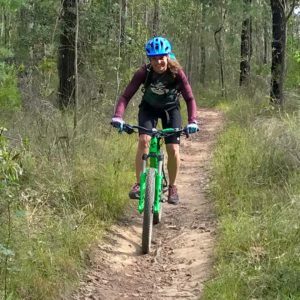 For those who like challenging mountain biking, head into the majestic Kanangra-Boyd National Park to ride one of its four different sign-posted cycling trails, or even the daring Six Foot Track. 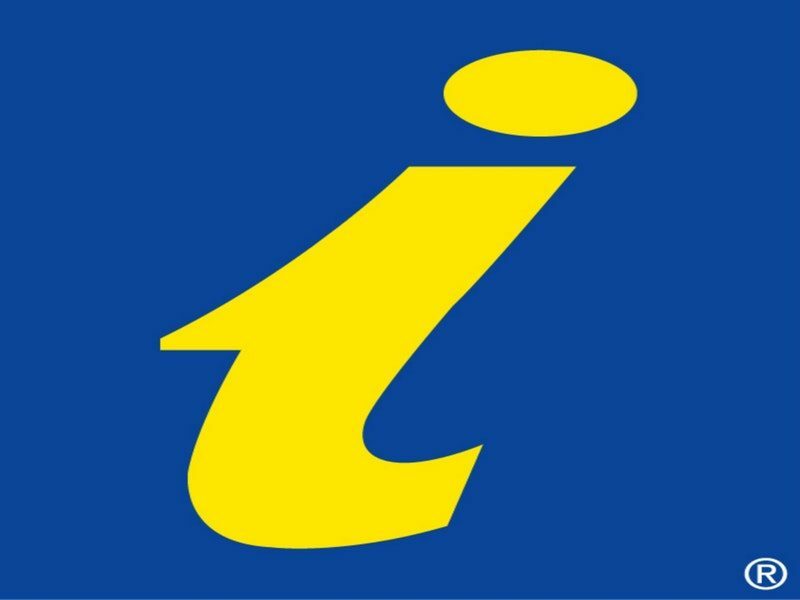 Brochures and maps on local cycling trails are available from the Oberon Visitor Information Centre. Dogs are not permitted in National Parks. With over a million acres of State Forest available for recreation, there are many bush walking trails to explore with your dog! Dogs should be kept on a lead when near livestock. Mayfield is dog friendly! But please note, your furry friend must be kept on a leash at all times and be guided by yourself. Mayfield Garden provide doggy bowls at the Cafe, but you must bring your own doggy bags.